Do you need temporary storage for your belongings during your move? Looking for long or short term storage for household items, business equipment or supplies? Take advantage of the extensive warehouse storage facilities at Charles E. Groff. Our facility is located in Mount Joy, Pa and convenient to Lancaster, Harrisburg and York, PA.
We offer climate controlled and non-climate controlled storage options. Just contact us for pricing! Why Store Your Items with Us? Our storage facilities are perfect to store furniture, office equipment, household goods and much more. 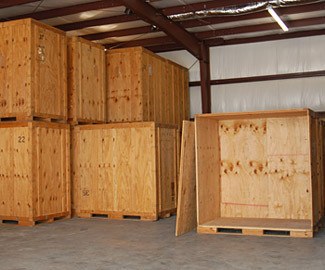 We'll even move your items to and from our storage facility! Just contact Charles E. Groff for detailed pricing information and delivery options.